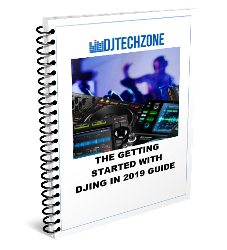 Bottomline: Solid build, full support for Virtual DJ including video! 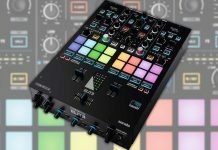 The Reloop Touch is a nifty unit, and the impression I had of it when it came out a few months ago are confirmed: this is a very well build controller, it certainly seems rugged enough for heavy use. The screen is crisp and bright and should be clear under more challenging light circumstances. The screen is on the same level, more or less, as the one on the Pioneer DJ XDJ-RX2: it’s good but not as good as the one on the Denon DJ SC5000 Prime unit. The 4 faders on every deck are well weighted and quite and an interesting way to manipulate effects. 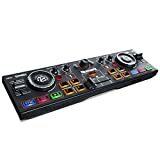 Also, this controller can be mapped to Traktor Pro so I wouldn’t be surprised if the faders can control STEM volumes when using them in Traktor. Also, before you start dreaming, the screen doesn’t work when using Traktor Pro. The performance pads are of course there, and they are high-quality, RGB backlit and quite responsive. 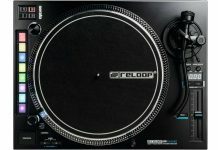 Overall, the Reloop Touch is a worthy addition to the Reloop DJ controller range. I do wish that at least two of the 4 channels would be switchable to external media sources such as turntables and media players. Having 4 channels on a controller without the possibility of connecting any external sound sources is always a bit of a letdown. I do understand that it’s hard to offer that at a USD 699 price point, but still, that would be a killer feature. Watch out for a detailed review of the Reloop TOUCH, soon on DJTechZone!